The children stomp on the launcher, flipping the rubber fish into the penguin's picnic basket. Kid's love it! Penguin Fish Fling can be set up in less than five minutes and can be used indoors or out. 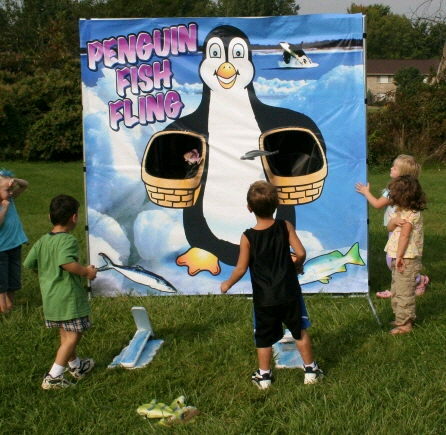 * : Please call us for any questions on our game penguin fish fling rentals in Butler PA & Western Pennsylvania.